When I was a boy in the early eighties, I remember seeing a magazine article – I think it was in the Sunday Times Magazine – entitled “The New Cher“, and in my youthful ignorance I assumed Cher was a role, in the same way that you got a new Evita in the West End every so often. And I suppose given her many personas over the years, I was kind of right. But obviously I got myself up to speed fairly quickly after that, and she’s been a constant presence in my pop life ever since – and, come to think of it, the UK’s. But in America Cher‘s chart career had dropped off a cliff after 1989’s Just Like Jesse James, and it seemed she’d finally reached the point in her career that Madonna now finds herself in – unable to score a hit in her own country. But, when I visited San Francisco in early 1999, I was astonished to see a queue at a listening post in the Virgin Megastore. I was fascinated. What was so exciting that people would line up in order to hear it? Smelling the opportunity to discover an exciting new local band from Haight-Ashbury about to explode on the world stage a la Jefferson Airplane, I joined the queue. 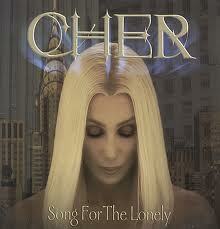 Of course it was Cher. Yes, America was just waking up to how brilliant Believe was, and it was beginning its long, slow climb to no.1 on the Billboard Hot 100, and the lady herself was about to re-enter the public consciousness in quite spectacular fashion. Nothing could go wrong now, could it? Oh yes it could. The disaster that followed three years later proves once again that in pop, it’s all about the moment – you can do almost the exact same thing again and achieve completely different results. That’s what happened with Living Proof, which was just as good (that is to say quite) as its predecessor but bombed spectacularly, only reaching no.46 on the UK album chart and vanishing after three weeks – Believe peaked at no.7 and hung around for the best part of a year. I have several theories as to why this occurred: 1) no-one likes blonde Cher, 2) the album sleeve suggested rock contents, and 3) wrong first single. The Music’s No Good Without You was presumably chosen precisely because of its dissimilarity to Believe, but despite having a nice hypnotic feel to it and cracking the top 10, it just wasn’t very exciting. Do you know what was exciting? Song For the Lonely. Now, obviously this treads on very familiar ground, but I think that on every level Song For the Lonely is an improvement on Believe – it’s less gimmicky, more poignant and has a slightly better melody. But its chief strength is how it plays into Cher’s status as a fighter and a survivor (“For the broken hearted, battle scarred / I’ll be by your side“). Who better? I for one would love Cher to be by my side in a crisis (though of course her standard nugget of advice is ‘snap out of it!’) For a song aimed so squarely at the dancefloor it’s remarkably moving, though obviously more so after a few gins. The video helps, showing Cher strolling through the stages of New York’s development over the centuries. Computer trickery or documentary footage? It could be either really. Annoyingly, the Living Proof album campaign was such a disaster that WEA basically took off and nuked the whole site from orbit, and Song For the Lonely never got a UK release. In America it was the first single, but peaked at a disappointing no.85, and it was later used there as the theme for a WeightWatchers ad campaign, until someone pointed out what a spectacularly bad idea that was. Overall, a sad result for a brilliant pop song, and I’m still really frustrated by it. For a song of this quality, success was only ever a National Lottery results show performance away. Sigh. Who could sing this today and have a hit? Ella Henderson has a bit of form here.